The Cape Cod and Islands Commission on the Status of Women was enacted by law and established in 2009 to advance women toward full equity in all areas of life and to promote rights and opportunities for all women. 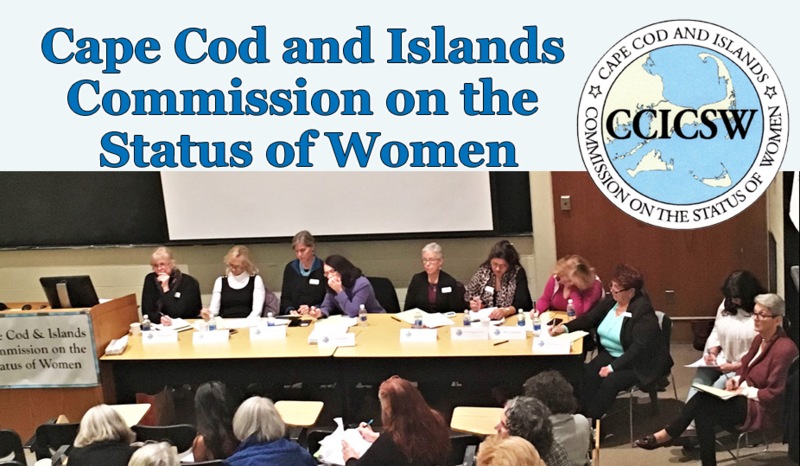 The mission of the Cape Cod and Islands Commission on the Status of Women is to provide a permanent, effective voice for women across Barnstable, Dukes and Nantucket Counties that facilitates and fosters community and inclusiveness among women. The Commission stands for fundamental freedoms, basic human rights and the full enjoyment of life for all women throughout their lives. The Commission is comprised of thirteen appointed women who have had prior experience working toward the improvement of the status of women. Commissioners are drawn from diverse racial, ethnic, religious, age, sexual orientation, and socio-economic backgrounds from throughout Cape Cod & the Islands. The Commission meets at least six times a year at the members’ discretion. -Provide a liaison between the Massachusetts Commission on the Status of Women and the Cape Cod and Islands Commission on the Status of Women.